For now, please see here for details on this addon. 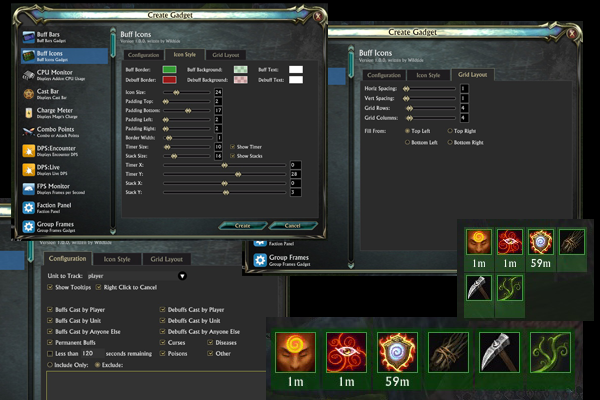 A configurable panel of buff icons. Lots of options on this one, I'll get a proper description written at some point! I let me show purges. I need to adjust? Nvm got it to work, not sure why it wasn't previously...return is the answer. Last edited by Mangoes : 06-27-13 at 03:05 PM. Is that a specific buff causing the problem? If it is, could you let me know which one? I'll have to catch the error and handle it, but it's a strange one. 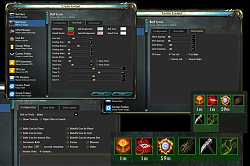 buff:	The ID of a buff for the new tooltip. owner:	The ID of the owner of the buff. target:	The new tooltip. Currently accepts ability, item, itemtype, or unit IDs. Pass nil to clear the tooltip. Last edited by corthreat : 06-20-13 at 05:12 PM. I can't seem to type (or even really click) on anything in the Include Only/Exclude box when modifying or creating a timer since last patch. 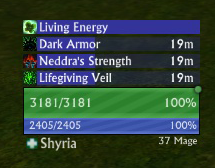 The addon works fine, no errors, but I just can't seem to do anything in that box, although moving the slide bar up and down to see the previous buffs I wrote in there works. Using the latest Gadget & Gadget:Buffs. Besides that, love the addon, can't imagine playing without it! 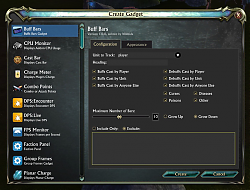 As of 2.2 I can no longer create new or modify existing timers. Love this addon. I hope there is continued development for it. Hopefully v0.3.100 will fix this. They removed a function from Lua that I was using. I've replaced it now. Seems to work great, Ty for the the quick update. The latest hotfix seems to have screwed up the text something fierce. Which is odd because the Gadgets unit frames are just fine. Yep, Zorba is aware and working on a fix. I should be able to put a workaround in as well. 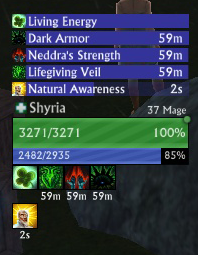 Any text that changes dynamically, like the buff timers, is affected. 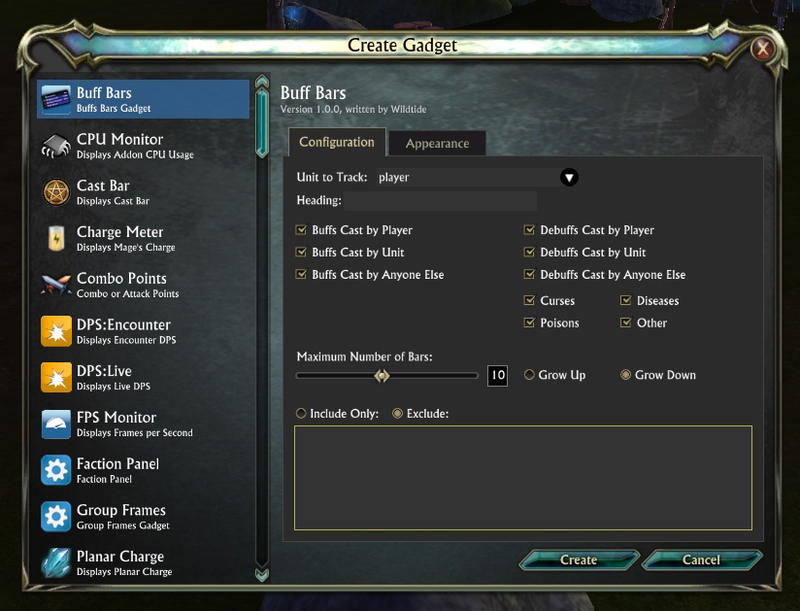 Ah, the font size is dependent on the height of the bar, which is set by resizing the buff bars gadget. I haven't provided a way to alter the size of the font independently, though it sounds like I should probably add this. I believe the big 3 is the stack count. And it would be more sensible to have that directly on the icon. It seems to be missing the "Icon Layout" and "Grid Layout" options similar to those used above the unit frame.